Drive growth with professional, branded representation of your association online. Drive growth by appealing to potential members online. Accomplish more by presenting your message accurately and consistently. Keep members engaged by giving them easy ways to stay in touch. Publicize your own activities to boost respect for your brand in your community. Organize resources so visitors can find exactly what they need. A website that consistently represents your association's branding elements. Celect makes community networking simple by clearly defining how each part of your association works together online. If your association is represented nationally, each of your local and regional chapters need to stay in touch. While they often operate independently from national headquarters, communication is important to keeping your association’s branding and message consistent when it’s presented online. Community networking with Celect also empowers you to reach individual members through direct communication. Shared pages for local & regional chapter websites ensure your brand message stays consistent online. Leverage donation outreach, engagement and networking info for all of your members. Syndicate organization news at the national level down to local groups. Communicate and plan online between local groups and the national office. Your own private social network for national, regional and local groups, free with your websites. Communication is a fundamental part of driving growth within your association. You can’t fully manage how you stay in touch with your members by using Facebook or other social networks—but your own private social network with Celect becomes the main touchpoint for how members of your organization interact, plan, schedule, task, communicate, grow and build an identity for your association across the country. Celect’s member management tools give you the opportunity to do exactly that. Each member creates his/her own profile and uses features like groups, forums, messages, events, newsfeeds and more to enhance communication and planning for recruitment, facility management, social planning—and anything else you can imagine. It also helps you encourage members to get involved. Plan donation campaigns using forums, messages and groups. Sign-up for charity events using forms. Sell branded goods like t-shirts, bags and more directly through your secure payment portal. Post documents to give members easy online access to resources. Share photos & videos from recent events. Coordinate and invite people to events. Keep members updated on national news. Learn about new members by viewing their profiles. Your site, your content—you're in control. Sometimes, the budget for technical staff is stretched thin. With Celect, you don’t have to hire on programmers or developers; our content management system (CMS) gives you the ability to maintain and update your own association website without extensive tech expertise. Drag-and-drop blocks of content to place them anywhere on the page. Choose from seven unique page layouts or customize your own. Click on text blocks to open an easy-to-use text editor. Access your own account representative and 24/7 support resources. Create "public" and "private" pages by using privacy designations. Everything you need to manage your own website in one cost-effective package. Knowing your audience makes it easier to network and reach out for donations. Your members are rich in useful information for improving recruitment and driving the growth of your association. When your members create profiles through Celect, you have access to information that puts you at a huge advantage for the health of your association. Celect's profile feature gives your members the ability to share information within your association's community that they might not want to share on a public network like Facebook—like phone numbers, alternate emails, street addresses, messenger accounts and more. While members have the ability to only share designated information, your site administrator has access to everything. Finally, a simple, secure way to process credit card payments that won't break the bank. When you buy a website through Celect, you also get a payment portal that gives you a secure way to collect payments from members, alumni/alumnae and non-members alike. Our partnership with PCI-compliant credit card processing company Braintree helps you ensure that payments are processed as securely as possible. Make donations easy to submit online! Collect due payments through local & regional chapters. Process orders for branded goods like t-shirts, mugs and more. The Essential Package offers you all the functionality of the Celect platform plus a design process that will help you make the most of your new web presence. Work with a designer to customize one of dozens of wireframes. Offer feedback to the designer to smooth out any rough edges. Receive unlimited one-on-one site training, help desk email & phone access, and online support resources. The Signature Package builds on the Essential Package by helping you create a more dynamic web presence through design and social media add-ons. You provide the text and imagery. We'll style and place the content on up to ten pages. 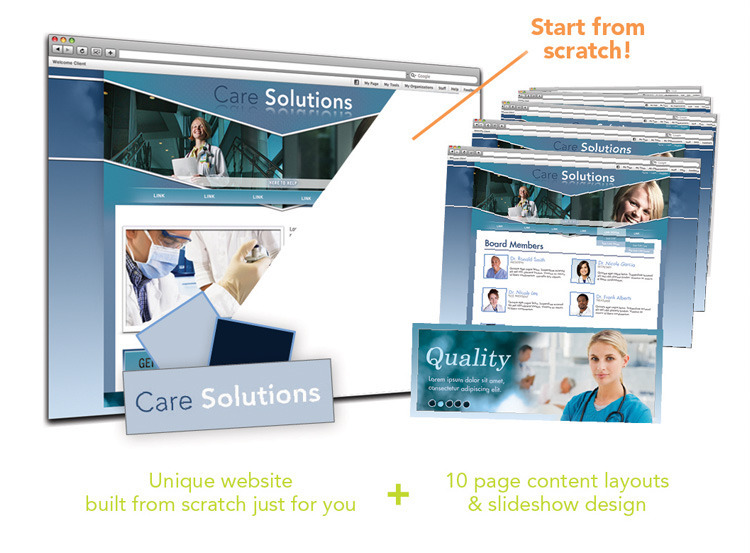 Design and development of homepage slideshow, buttons and other interactive elements. Custom Facebook fan page and Twitter design. The Premier Package allows you to start from scratch and work with our professional design team to build a truly world-class website. Work closely with our team of professionals to create your own unique design. For questions or to get started, please contact our sales team.